In any case, while I usually keep personal stuff off of this page, I have an announcement that directly applies to the mission of Freedom by the Sword and will certainly open up more opportunities for some unique posts! Next Monday I will start a new job with the U.S. Army Center of Military History as part of a team working on the future National Museum of the U.S. Army. 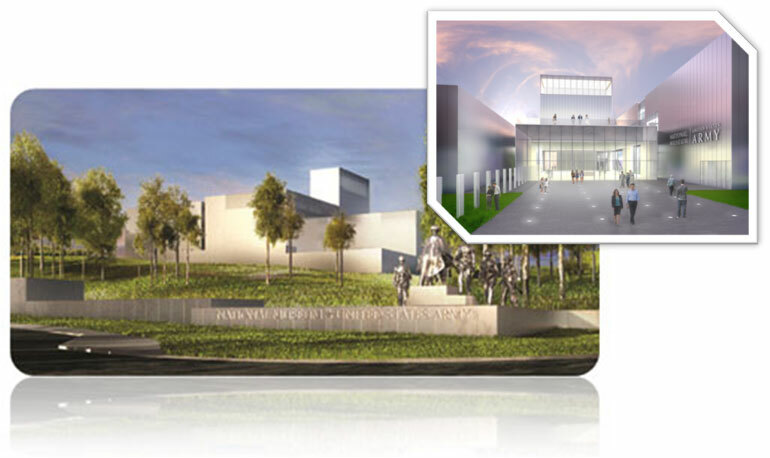 Needless to say, I'm very excited and honored to play a small role in the creation of what looks to be a world-class museum! And while we're on the subject of the Center, I would be remiss to not congratulate Dr. Richard W. Stewart on his retirement as Chief Historian. Dr. Stewart took the time out of his busy schedule to meet with little old me and give me some career advice back in 2014, which says a lot about the type of person he is. Here's to a productive and enjoyable retirement! Keep your eyes peeled for more on the First Battle of Deep Bottom later this week. The First Battle of Deep Bottom– also occasionally called the Battle of Darbytown, Strawberry Plains, Tilghman’s Gate, New Market Road ,Gravel Hill, and even Malvern Hill (the latter causing a great deal of confusion) – was part of Grant’s Third Offensive of the Richmond-Petersburg Campaign, which culminated in the infamous mine attack known as the Crater. It lasted from July 27-29, 1864. In addition to what would become the Battle of the Crater, Grant also sent a force to the north side of the James River via the Deep Bottom bridgehead. Maj. Gen. Winfield Scott Hancock’s II Corps, along with two divisions of Maj. Gen. Philip H. Sheridan’s cavalry and one division of Brig. Gen. August Kautz’s Army of the James cavalry was tasked with crossing the James River at Deep Bottom and menacing the Confederate capital. The cavalry’s mission was to ride hard and fast to destroy the Virginia Central Railroad as far north as the South Anna River, then turn back towards Richmond and attempt to capture the city in a joint effort with Hancock’s infantry. If everything went according to plan, Richmond would fall and Grant could call off the mine attack. 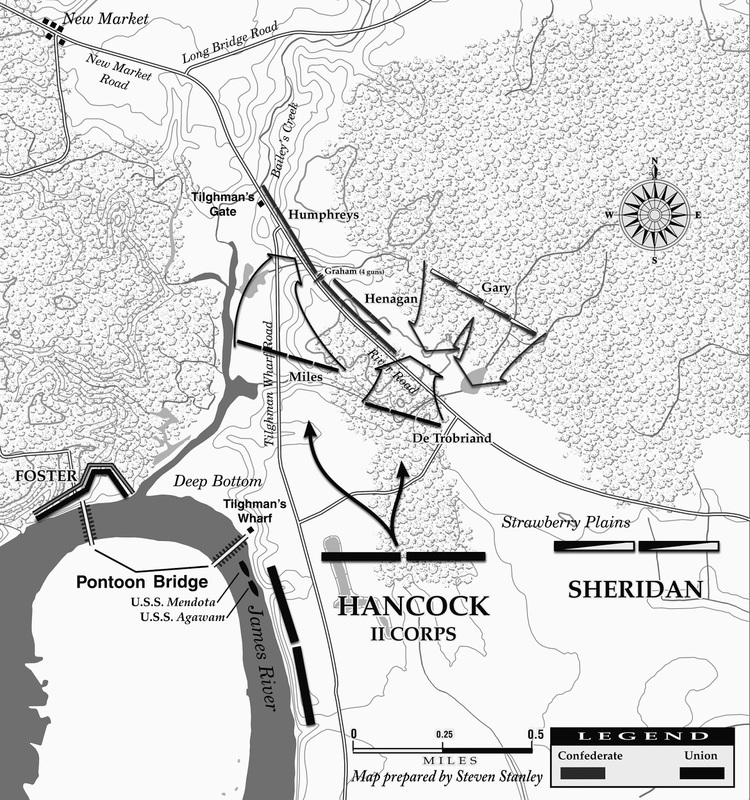 Thus, over the night of July 26-27, the II Corps marched from Petersburg, crossed the James River, and advanced east of the Deep Bottom bridgehead. Hancock wasted little time in attempting to locate the enemy and begin the grand offensive that would open the way for Sheridan to commence his raid. In the pre-dawn darkness of July 27th the II Corps spread out into an open area called Strawberry Plains. Just north of the Union expeditionary force at a place called Tilghman’s Gate were three of Maj. Gen. Joseph Kershaw’s Confederate brigades, temporarily under the command of Brig. 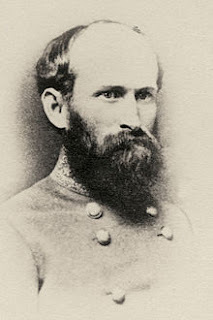 Gen. Benjamin Grubb Humphreys. In the middle of this line of infantry were four 20 lb. Parrott Rifles of Capt. Archibald Graham’s 1st Rockbridge Artillery battery. In supporting distance were the 7th South Carolina Cavalry, 24th Virginia Cavalry, and the Hampton Legion, all under the command of the “Bald Eagle,” Brig. Gen. Martin Gary. 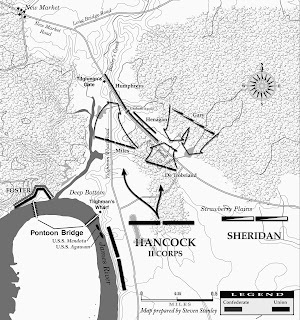 Tilghman’s Gate stood right in Hancock’s path, and the corps commander wasted little time in sending out a skirmish line to take the position. The assault would be supported by field artillery under the command of Maj. John G. Hazard and the gunboat USS Mendota, which was anchored at Deep Bottom. On the skirmish line, a see-saw battle developed, with troops under Regis de Trobriand pushing forward and then falling back under an intense volume of Confederate fire. 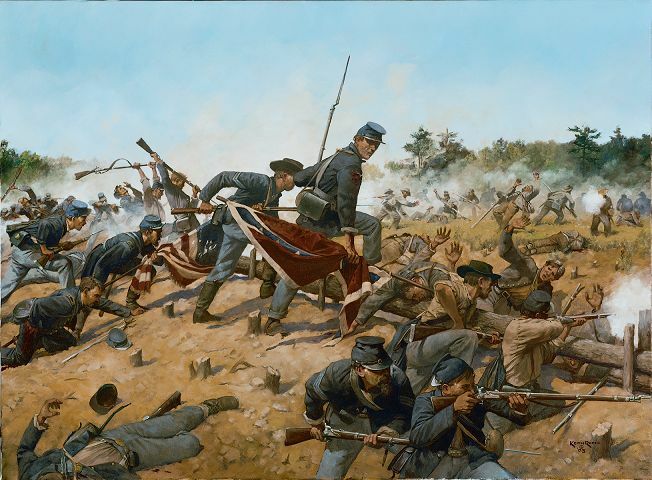 The Yankees were eventually able to mount a concerted effort and angle their attack towards the middle of the line, where Graham’s Parrott Rifles continued to blast away. When Humphreys’s men observed the bluecoats zeroing in on Graham’s guns, they immediately moved forward to meet them. Humphreys had also seen the threat and called for the artillery horses in case the cannon needed to be withdrawn in a hurry. He was met with bad news – the horses had been sent to the rear. Within minutes more bad news arrived – a courier from Gary’s brigade informed him that he was flanked. Desperate, Humphreys sent the courier back to Gary with orders to come to his support and attack immediately. The situation was rapidly deteriorating. In order to fire more effectively, Graham’s Battery moved its guns into the New Market Road and pointed them towards the advancing Federals, now only fifty yards away. Once in the road, the battery could only bring two guns to bear on the Yankee menaces, but the experienced gunners fired several rounds of canister that caused the Union skirmishers to balk. Seeing the plight of Graham’s guns, Humphreys attempted to shift his right wing to come to their assistance, but in doing so he created a fifty-yard gap in the Confederate line. This was almost directly across from where De Trobriand’s skirmish line continued its halting advance. At this point, future Commanding General of the U.S. Army Nelson A. Miles rode up to the front of the skirmish line and cried out, “Men, let a general lead you.” The men surged forward, and the Rebel infantry soon gave way. In the fog of battle, the word to retreat did not filter down to the gunners of Graham’s Battery, who were left to fight on their own. Once they realized the tenuous position they were in, Graham’s artillerists fled for the rear. The Federals were ecstatic when they captured all four of Graham’s Parrott rifles, along with their caissons and ammunition chests. They did not have much time to celebrate, however, because Gary’s brigade arrived on the scene in response to Humphreys’s earlier order to come to his assistance. Gary did not waste any time making a reconnaissance – he threw caution to the wind and attacked. The Bald Eagle was able to buy Humphreys’s retreating soldiers enough time to get to safety and begin to form a new line, but he was quickly swallowed up by the oncoming Federals. The 24th Virginia Cavalry was the first to break and as the rest of the brigade looked for a path to safety Gary rode up and ordered the 7th South Carolina Cavalry to charge down the road and retake the line. No one took this order seriously and one Gary’s aides recalled how he “took out his pistols and threatened to shoot us if we did not move on. He ranted and fumed, but the men were dogged and remained firm.” Within minutes, the graycoats were in full retreat. Thus ended the fighting at Tilghman’s Gate. The rest of the day was frittered away with maneuvering, while the Confederate high command planned an attack that would drive the hated enemy away from Deep Bottom once and for all. Part two in a series. In my previous post I outlined the important series of actions fought north of the James River during the Richmond-Petersburg Campaign from July – October 1864. This post will explore the means by which Federal forces participated in these battles – the Deep Bottom bridgehead. The name “Deep Bottom” refers to an area on the James River 11 miles southeast of Richmond located at a horseshoe-shaped bend in the river known as Jones’ Neck. This area remained relatively quiet throughout the war, but all of that changed once the first series of Union assaults on the Petersburg defenses failed. Determined to avoid a prolonged siege, Lt. Gen. Ulysses S. Grant boarded a ship with Maj. Gen. Benjamin F. Butler of the Army of the James on June 20, 1864 to seek out a location to open up simultaneous operations against Richmond. Grant determined that Deep Bottom was the most suitable location. Since it was convenient to the Bermuda Hundred Peninsula, where Butler’s army was currently operating, Deep Bottom was the perfect place to “divide the attention of the enemy’s troops, and to confuse them as to whether to expect an attack upon Richmond or Petersburg,” according to Grant’s aide Horace Porter. 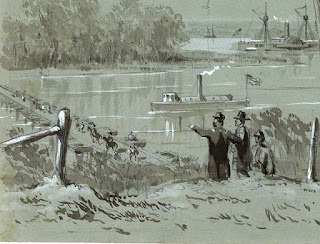 Grant ordered Butler to send a brigade of 2,000 men “to seize, hold, and fortify” Deep Bottom and have the army’s engineers construct a pontoon bridge. Brig. Gen. Robert S. Foster of the X Corps was chosen to lead this small expedition. At 5:00 p.m. on June 20th, Foster’s command marched three miles through intense heat and dust to Jones’ Neck, where the pontoons were assembled and waiting. The expedition was fraught with danger: Confederate pickets were only three hundred yards away and, once on the north side of the river, the wooded bluffs would have to be scaled and a perimeter established before any work could commence. Lee dispatched Henry Heth’s Third Corps division to the north side of the James on June 22nd to assuage Ewell’s fears. The front would remain static for over a month while the two main armies focused on Petersburg. But Robert E. Lee was none too pleased about the irksome presence of the Yankee troops, telling Ewell, “I do not like the continuance of the enemy on the north side of the James River and the maintenance of the pontoon bridge at Deep Bottom.” On July 23, 1864 Lee reached a breaking point and decided to send Maj. Gen. Joseph B. Kershaw’s entire division across the river to destroy the pesky bridgehead once and for all. I sent yesterday Genl. Kershaw’s division to Chaffin’s, which I can ill spare & which I fear I shall be obliged soon to recall…I directed Genl Kershaw to take command of the brigades under Conner, examine the enemy’s position at Deep Bottom, & see what could be done. I have not heard from him yet…Where are we to get sufficient troops to oppose Grant? Kershaw wasted no time taking up the offensive. On July 26th his men launched an attack against Foster’s troops, shouting “Go home you red devils!” to a regiment still brave enough to wear Zouave uniforms at this point in the war. The attack successfully dislodged Foster’s men from their advanced positions, but they clung tenaciously to the Deep Bottom bridgehead. As the evening fighting tapered off, the Confederates were blissfully ignorant of the fact that over 25,000 Union soldiers were marching their way at that very moment. The stage was set for the First Battle of Deep Bottom. Part One in a Series. What if I was to tell you that a series of desperate battles was fought on the footsteps of the Confederate capital of Richmond, Virginia? You’d most likely think that I was referring to the Seven Days Battles of 1862, right? Skip forward two years past the famed debut of Robert E. Lee as commander of the Army of Northern Virginia and you will encounter a complex series of battles and skirmishes fought within an hour’s march of the very nerve center of the Confederate nation. But Richmond was a hard road to travel, as the song went, and even though the Union war machine would hurl entire armies at the city’s gates in 1864, the despised bastion would not fall until that fateful April day in 1865. Henry Hardenbergh wins the MOH at 2nd Deep Bottom. This series of battles would be fought east of Richmond and north of the James River and would center around the road networks and fortifications that ringed the eastern approaches to the city. The names associated with these battles remain largely forgotten – places like Tilghman’s Gate, Gravel Hill, Strawberry Plains, and Fussell’s Mill. Thanks to the efforts of a growing group of Civil War scholars, other names like Deep Bottom, Fort Harrison, New Market Heights, and Darbytown Road are becoming more familiar. In an upcoming series of posts, I plan to extract a few noteworthy samplings from each of the abovementioned clashes rather than attempt a detailed explanation of each individual fight. We will begin with the events that led to the establishment of the Deep Bottom bridgehead in late June of 1864 and then spend some time with the first battle that bore its name in late July. We will survey each of the two major days of fighting and then look at some of the more notable instances of heroism, including Sgt. Adam Ballenger, who singlehandedly captured a Federal cannon and was promoted to the rank of lieutenant for doing so. For the Second Battle of Deep Bottom we will look at a dark day for the officer corps of the Army of Northern Virginia: August 16, 1864. That day would see the deaths of two generals – John R. Chambliss, Jr., a brigade commander in J.E.B. Stuart’s cavalry, and the flamboyant Victor Jean Baptiste Girardey who had made a name for himself at the Battle of the Crater. We will also examine the Battle of Fussell’s Mill, which saw the heaviest sustained fighting of the Second Deep Bottom Campaign. We will then shift our gaze to the experience of two white Union officers who led African American soldiers during the Battle of Chaffin’s Farm. Lt. John McMurray of the 6th USCT left a gripping account his regiment’s fateful charge against New Market Heights Lt. John Viers of the 5th USCT dodged death at the Battle of New Market Heights on the morning of September 29, 1864 only to be captured later in the day during the horrific assault on Fort Gilmer. As we will see, white USCT officers did not always have the easiest time when they fell into the hands of the Rebel army. Next we will look at the First Battle of Darbytown Road and the death of another Confederate general, John Gregg. This Alabamian went from serving in the Provisional Confederate Congress to fighting in the Western Theater where, through a strange series of events, he found himself placed in command of one of the most famed fighting units of the entire war – Hood’s Texas Brigade. The concluding post will pick up the story of the U.S. Colored Troops in late October 1864, when a controversy broke out over the use of black prisoners to construct new Confederate fortifications and the massacre of black troops who had surrendered during the fighting on October 27th. Along the way I will stop to give character portraits of both individuals and units that saw action in this forgotten sector. As we will see, there is much fresh and exciting material to unpack from the fighting on this overlooked front of the American Civil War.